Yes it's nice I like the pirate style. Except that that's "Titans" and we're doing AEUG. nath. I think your logo is good, certainly like the turtle with eye-patch. Angry turtle is good. However, it's still a bit too similar to the TTT logio, like the gun, and the back shield, and even the writing. I'm sure with a bit of tweaking here and there it'll look even better. 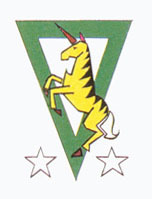 A cleaned-up version of Ezechiels logo. Thoughts? That looks wicked cool, but I think it should have the full bodied SD action pose style the TTT bunnies have. Here's a mascot, guys. He's even a fox. That's an issue I've noticed so far as well. Nothing wrong with any of the designs so far, I just feel they need to be more like characters instead of logos. o yes!i forgot..hahahha..my mistake. it should be original aeug symbols, i think i jumped through the thread..hehehhe..i'll try to make another one.thanks for the comments guys. "Don't tell me. You're from outer space." "No, I'm from Iowa. I only work in outer space." Man I wish I could draw it, but not to get to far off topic did anyone see the Family Guy:Stewie Movie? In it they had Elmer Fudd actually killing Bugz Bunny. I think Elmer Fudd should be the poster child for AEUG LOL. I had fun with this, I don't know if it fits though. I just found this topic today, so I'm way behind the curve. If I had gotten in at the beginning, I would have mentioned what was so obvious to me, BIRDS! Hawks, Eagles and Owls all eat rabbits. I think owls would be fun. In Gundam 0083 there's the Albion, named after a mythical island. So I went with another mythical island, Avalon, where Excalibur came from, hence the sword. I also have several basic AEUG logos and texts for AEUG weapons. Wow, I forgot I was registered here. I love this design thread. Foo I was doing a bit of symbol reseacrch myself which is how I found this. 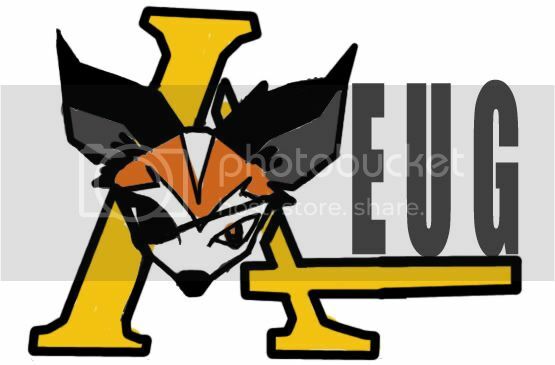 Now I am a Zeon Zealot and your fox motif for the AEUG rang a bell. 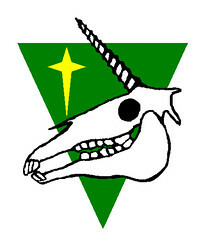 Look at this, it's from the "Library of Londenion" Zeon emblem archivehttp://side7.gundam.com/rgz/emblem/zeon_squad.html#4th. 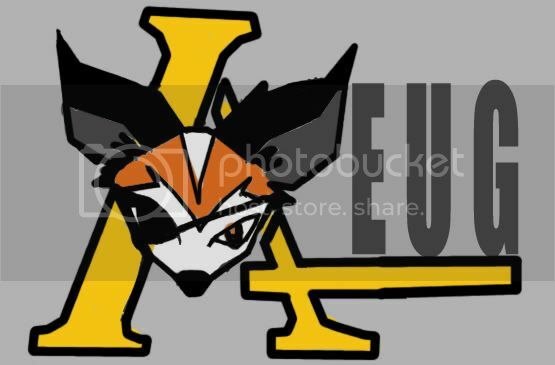 So does it matter to you if a fox is already associated with Zeon? 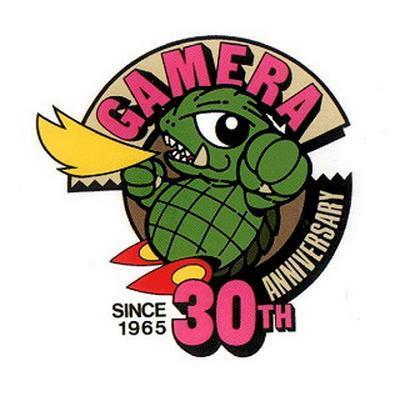 I really like the Gamera ideas, what about converting this logo somehow? Welcome. The turtle (certainly not a gamera) was based more on the "tortise and the hair". Using a fox doesn't bother me and if someone comes up with something better, more power to them. This comp sort of petered out though... totally forgot about it as I'm sure others have. Well thought I would contribute anyway, if thats OK? I know this one is a basic MS Paint, but it's an idea I had for "What if Johnny Riddden had survived A Baoa Qu", so now he's a Remnant. The Zabi chick he dug so much got off'ed by Char so he's a bit bitter. I really like your graphic skills Foo, what program did you use for your Ballute Turtle(My Fav)? Oh yeah, that's fine to contribute. Just remember this is an AEUG symbol contest/thread. For my decals I used Flash as usual. That's cool, sorry if I went too off topic . As a Remnant I dont have too many peers to commiserate with I thought a couple of posts might fire this one back up, i really enjoyed the creativity. Firing it back up is good.